When an automobile giant teams up with a home appliance manufacturer, the two are bound to come up with something interesting, just like the product of these two Italian manufacturers, car-maker Fiat and Smeg, the appliance company. 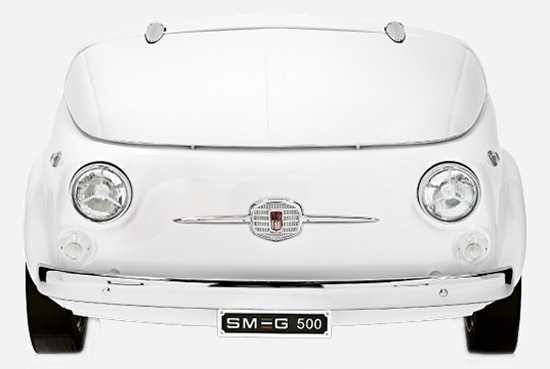 Recently, Smeg turned the front of the classic Fiat 500 into a refrigerator, an appliance built to perfection for the kitchen of an automobile lover. 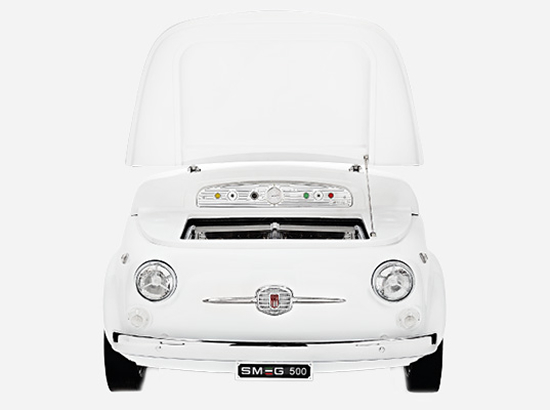 The Fiat-turned-into-a-fridge was crafted from a recycled 500. Pop the hood of the car’s front and instead of a roaring engine, you’ll find a bunch of frozen food instead! This isn’t the first time the two brands have worked closely together. Smeg was founded in 1948 by Vittorio Bertazzoni and one of the company’s first collaborations was with the Italian automaker, Fiat. 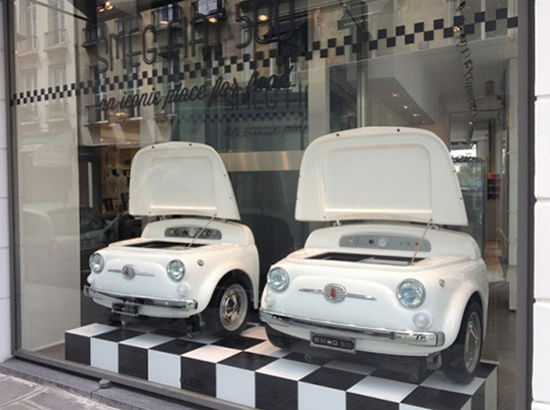 The refrigerator is a part of the Fiat Design Collection, a tribute to the iconic little car.